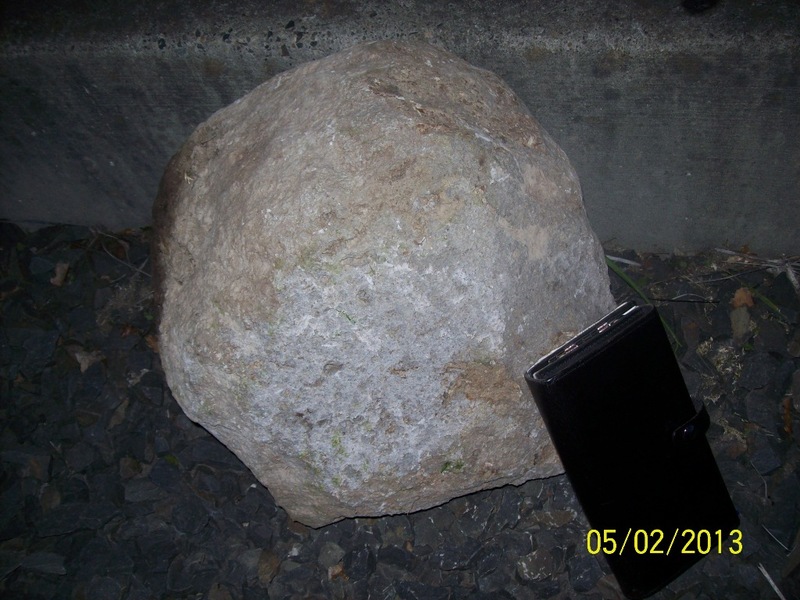 TriMet and the Transit Police Division now believe the large rocks that were placed on the MAX tracks near the Millikan Way MAX station in Beaverton likely came from a nearby landscaping project. A MAX train went over one of the rocks, which was about 12 inches in diameter, Thursday morning at 5 a.m. damaging the hydraulic system on the train. Another train had passed through the area earlier without incident. On further investigation a pile of large rocks and boulders was discovered nearby. The rocks are being used for a landscaping project. Police believe a person(s) trespassed into the restricted right of way and placed two of the rocks on the trackway. TriMet is now offering a $1,000 reward for information that leads to the capture of the person(s) responsible. Those responsible would face charges of criminal mischief in the first degree, which is a felony punishable by up to five years in prison. Anyone with information that would help the investigation is asked to call 503-238-RIDE (7433). It is estimated repairs to the train will cost $20,000.